All Australian. All the Time. Australian Country Radio plays only Australian artists and performance. We promote through Australian Country Radio and across all social media platforms the Australian talent that lives and performs here in Australia and overseas. We source new music constantly, many songs ahead of their official release date, and are serviced by all the major and independent music organisations, giving us the leading edge in having Australian artists heard worldwide. Our library of “classic gold” is one, if not the largest in Australia and gives our audience the variety it demands. 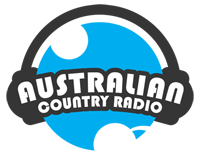 Australian Country Radio is heard on all major platforms and many free apps, as well as our own dedicated Google Play and App Store apps. The small yet dedicated “in house” team at Australian Country Radio is lead and inspired by John Nutting. Described as “Australia’s most influential Country Music broadcaster of all time” John’s contacts and industry knowledge drive Australian Country Radio forward so as to be a leader in Australian Country Music broadcasting and “Australia’s Home Of Country Music”.